Our general perception of healthcare has three basic steps: get ill; do something; get better. However, the pressures on the NHS mean that this is not sustainable. Does the answer lie in the use of technology or eHealth? A future where doctors prescribe Apps as well as medicine? This was the subject of my talk at Cornwall’s first TEDx event last month, TEDxTruro. The ‘do something’ step has a number of familiar options in it, including taking a rest, light exercise, seeing your GP, having tests, taking medication or some other form of more significant medical treatment. There is a general belief that if we are ill, we will ‘get better’, eventually, and that this process is sped up by assertive healthcare and medical support. However, about 30% of us don’t get better and are left with one or more long-term conditions, such as chronic pain, diabetes, heart problems, neurological problems, injuries and often disabilities. The starting point for my TEDxTruro talk was to ask the audience to imagine what it is like to live with a long term medical condition that has no cure. For some it would not be difficult to imagine – they may already be living with that reality, or caring for a loved one with a chronic illness. I wanted them to really understand the frustration and despondency that can set in when people don’t get better. When people don’t get better they often revert to their doctor for more tests, more interventions, more reassurance and more monitoring. In our society, we don’t have a common narrative for how we ‘live with’ a significant health problem in a way that is meaningful and without suffering. The cost of the 30% of patients with long term conditions accounts for 70% of all healthcare costs in the UK. These numbers are on the increase. Medicine gets better at keeping us alive – but with that comes increased longevity and associated complex conditions. The demands on healthcare will ultimately mean that the three-step model (get ill; do something; get better) will be outdated and in fact cause our health systems to collapse. A new model is needed. A fourth step – ‘adapting and coping’ with health problems will require a society-wide shift in how we see health. The first solution will likely be an understanding of how someone lives with a long-term condition. How they accept their condition, learn to be compassionate to themselves, adopt new health strategies that are not about cure but about living (these include pacing, relaxation, mindfulness, positive thinking) and design new lifestyles to fit new limitations. Technology – or eHealth - can play an important role in empowering patients and giving them back control. Instead of patients with long term conditions frantically using Google to find out information about their condition, a doctor could effectively “prescribe” the most appropriate technology to support the patient. This kind of solution is potentially able to provide a safety net, remotely. Patients can self-monitor, through a range of technologies, and therefore provide their clinical teams with up-to-date information on any variable that is clinically relevant. The clinical team is therefore always with the patient and responsive to need, only when it arises. A great example of this is Epsmon, an App I was involved in developing for epilepsy. Research showed that 42% of deaths connected with epilepsy could be avoided if the condition had been managed better. We looked at the factors which increased a patient’s risk of dying and found that 90% of epilepsy patients in Cornwall who had died over a seven-year period had demonstrated at least one of the risk factors in the three to six months before their death. Also, 80% of those patients who had died had not had an appointment with an epilepsy specialist in the year before their death. Using the risk factors as a starting point, we created a checklist for clinicians to use with patients and a simple to use App that asks patients to input data and complete a questionnaire every three months. This immediately flags up patients who are at risk and who should be seen by a specialist. eHealth provides options for people with long term health conditions, but only in a model where being coached to adapt and cope is put in place, to quell the anxiety and distress that emerges from not getting better. This form of eHealth is not a ‘treatment’ but a digital safety net, where being out in the world, living an adapted life – people are confident that if they get worse, the health service will react quickly. 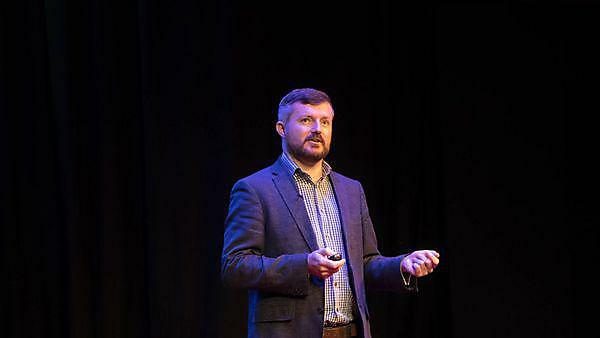 TED is all about “ideas worth spreading”, so I was really pleased to be able to talk about eHealth at TEDxTruro. I would argue, eHealth is essential in supporting high risk patients to unburden the health service with the knowledge that they are being cared for and that the anxiety of being forgotten is no longer feasible. Dr Craig Newman is the Mobile Health Innovation Lead and Senior Research Fellow at the University of Plymouth's Peninsula Schools of Medicine and Dentistry and Clinical Psychologist in the Neuropsychology department at Derriford Hospital, Plymouth.